One of the many reasons that historians reconstruct the past is so that we can understand our present, and perhaps even make some predictions about the future. When I was writing my recent book, Home Fires: How Americans Kept Warm in the 19th Century, I hoped that readers would be able to make the connections between that story during the Industrial Revolution and the prolonged energy crisis that we face today. Of course, the circumstances are quite different, but it’s my opinion that we can use the experience of Americans during that earlier energy transition–particularly the ways in which consumers adopted fossil fuel technology in generating domestic heat–in order to guide us through the necessary weaning off those same fossil fuels. So I was really pleased to read Ruth Graham’s recent article in the Boston Globe on energy transitions. In an interview a few days ago, Graham posed some great questions that made me think about how Home Fires could relate to a wider audience. I hope that I answered them well, although I can’t help but feel bad about the pessimistic note I offered at the article’s conclusion. I really do hope that we can make the jump to solar, or wind, or some other type of renewable energy form soon, but the evidence suggests that it takes quite a long time to change consumer preferences in essential functions like home heating. As it turns out, Americans were quite picky about how they stayed warm, and even though the United States had massive coal reserves, it took some time for fossil fuels to dominate the American hearth. Is there any reason to believe that the future will be different? I hope so, but the historian in me has some reservations. Although severe winters have always been a part of human history, the ability to survive them with minimal planning is a relatively recent development. When Americans burned wood or coal a century or so ago, the laying up of fuel in late summer or autumn was not just a ritual of the season’s passing; it was a necessary survival strategy. For poor families, though, the challenge was not only buying fuel, but storing it. If you could afford to purchase a couple cords of wood or tons of coal, that was great. Being able to have it on hand to feed your fireplace, stove, or furnace was even better. But, as American cities grew more densely packed, less affluent American found themselves squeezed to the margins. Without the cash up front to buy fuel at lower prices in the “off” months of the summer or early fall, and without the space to store it conveniently, the working poor in 19th century American cities were forced to buy small parcels of fuel at the most expensive time to do so. 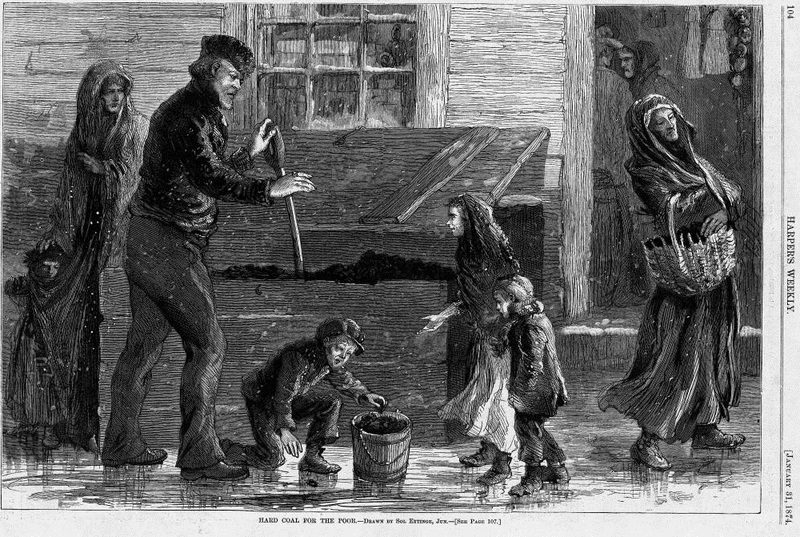 As early as 1850, the journalist George Foster described poor residents of New York City as “living literally from hand to mouth” as they “buy the food they eat and even the fire and whiskey that warms them, not only from day to day, but literally from hour to hour.” Families scrounged for scraps of wood or small lumps of coal, feeding their small home fires in any way they could. When those methods failed, they sometimes relied upon charity. Thankfully, the hard work of staying warm is only a distant memory for most of us. 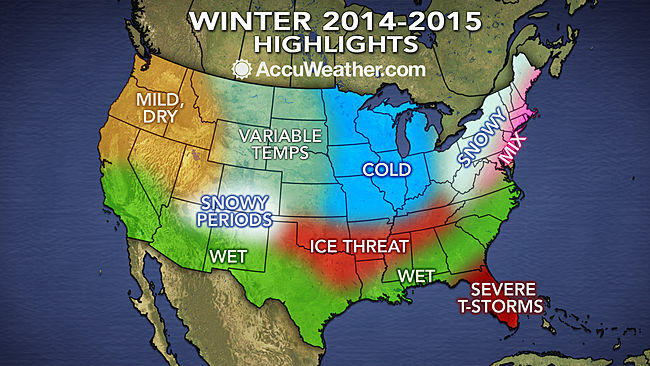 Nevertheless, if you’re cranking up the thermostat this winter, consider yourself lucky! Gainesville Comes Clean on Mountaintop Removal? The City Commission of my hometown of Gainesville, Florida recently voted against using coal from mountaintop removal sites. The controversy over mountaintop removal is well known in states like Kentucky and West Virginia. On the one hand, it’s difficult to justify the environmental blight that mountaintop removal causes; the notion that the process creates “flatter, more useful land on top of the mountain” is laughable. Mountaintop removal does create jobs in areas desperate for them. It’s a time worn tale in Appalachia: does the short-term economic benefit outweigh the long-term desolation? Gainesville’s new policy does, however, throw a few interesting ideas into this debate. First of all, it attacks mountaintop removal from the consumption side. 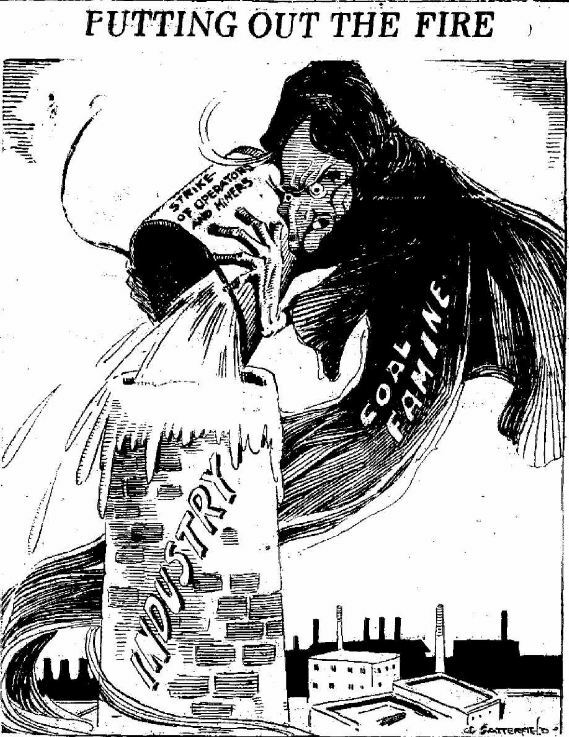 Any historian of the coal trade knows that the demand for cheap energy and the fear of economic paralysis from “coal famines” has justified all sorts of heinous practices in the industry. In the 19th century, urban residents might be sympathetic to miners who risked life and limb in dreadful working conditions to raise coal. But they expected the coal to keep flowing. When miners struck in 1902, newspapers and politicians fretted that the resulting “coal famine” would trigger widespread panic. 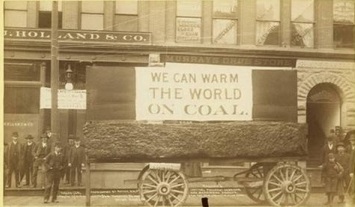 “If when the severe weather comes on there is a coal famine I dread to think of the suffering, in parts of our great cities especially” President Theodore Roosevelt wrote, “and I fear there will be fuel riots of as bad a type as any bread riots we have ever seen.” Combating mountaintop removal from the consumption side might be more effective than appealing to the public’s sense of environmental justice. TR’s unprecedented intervention in the Great Anthracite Strike of 1902 owed more to the fear of fuel shortages than it did to abstract notions of fairness in the debate between capital and labor. So perhaps weaning buyers like Gainesville Regional Utilities (GRU) off of coal secured by mountaintop removal offers some hope for environmental activists. But, as with any energy policy, there is a wrinkle. The City Commission added a provision to this policy that adds a price tag to Gainesville’s clean conscience. If the cost difference rises above five percent, GRU is allowed to resume purchasing mountaintop removal coal. Putting a price tag on this policy really makes it more of a gesture towards more ethically raised coal–although that concept is a difficult one in and of itself–than a decision that might have a real bite to it. As it turns out, the good residents of Gainesville might suffer a mild increase in their utility bill, but in the grand tradition of American energy history, the cheap fuel will keep flowing. As a historian of the Industrial Revolution, I’m almost always pleased to see my research interests resurface in a modern setting. 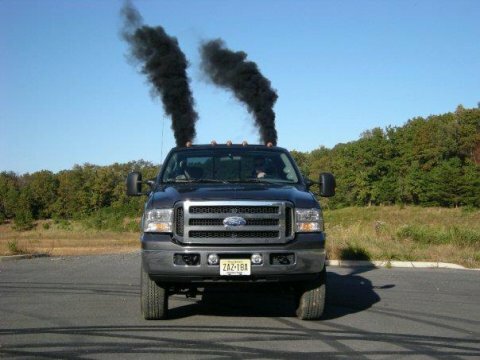 I say “almost” because there has been a recent movement called “coal rolling,” in which trucks are fitted with an apparatus that belches thick black smoke on demand. Preferably, one would “coal roll” a hybrid or electric car; perhaps also someone publicly expressing their environmentalist credentials. Do coal rollers really want to turn the page back and relive our 19th century industrial past? Probably not. But their professed love of smoke does harken back to an era in American history where the filthy byproducts of burning coal was considered at worst a necessary evil and at best a sign of a prosperous economy. I wrote about this a bit in my new book, Home Fires, and I’m not too proud to use coal rolling as a way to discuss burning coal in the 19th century. Coal rollers might have loved Pittsburgh in the 19th century, as its residents started griping about smoke and soot as early as 1804. James Parton famously referred to the city as “hell with the lid off.” By the 1880s, one travel writer noted that “nothing darker, dingier, or more dispiriting can be imagined than Pittsburgh. 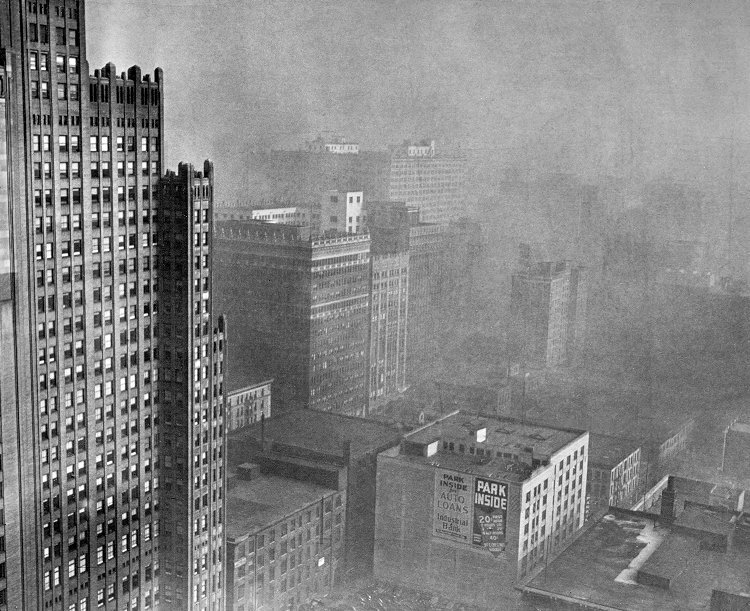 In 1892 the city seemed to one writer as “a place enveloped, defiled, and famous in smoke.” By the 1930s, as the image below demonstrates, you could practically cut Pittsburgh’s smoke with a knife. Pittsburgh in the 1930s. A coal roller’s paradise? Smoke abatement did arrive by the 20th century and University of Cincinnati historian Dave Stradling has written an excellent book about the long campaign to address the problem. My guess is that the coal rollers wouldn’t enjoy living in the world that Dave reconstructs in Smokestacks and Progressives. But, you never know. Perhaps the noted journalist Stephen Colbert can shed some light on the subject. I wish that I had this article from the Chronicle of Higher Education written by William & Mary’s Scott Nelson handy when I taught AMH4373: History of American Capitalism last year. The piece covers the long history of American indebtedness and, in a very sneaky and savvy way, gets quite a bit of historiography into the mix. This is no small feat, as that genre is often quite difficult to pull off for a popular audience. Students would be well advised to check out the longer book that this comes from–I will be considering it for that course next year for sure. One of the most common questions I get from students when I teach the Early Republic course is about quotations. Is it true that Thomas Jefferson wrote that the “the tree of liberty must be refreshed from time to time with the blood of the tree of liberty must be refreshed from time to time with the blood of patriots & tyrants,” or that Jackson said “Justice Marshall has made his decision and now let him enforce it”? * Sometimes I know the answer off the top of my head; other times I don’t. More often than not, I point out, the important question is whether that historical figure would likely have said it. So the background of the individual and the context of the quote are likely to be just as significant as the bons mots themselves, if we consider the quote’s significance to our understanding of the Early Republic. But, alas, in our electronic age there is a tendency to use historical quotes as shorthand and use its utterer or origin as a legitimizing factor for the tone we’d like to set. So if you want to establish a satirical mood, use a Mark Twain quote. Gravitas? Lincoln or Martin Luther King. Gadflyish intellectualism? Definitely Thomas Jefferson. Boozy cynicism? W.C. Fields. The list goes on an on. But if you’re using a quote as shorthand for a broader theme, don’t you then have an obligation to get it right? Unfortunately, we often remember a great turn of phrase and put our own twist on it. Then, when we write in a medium that is unlikely to employ a separate fact-checker, like, say, a blog, the altered quote lives on forever. Someone else picks up your alteration and adds some of their own style to the quote and, like the classic game of “telephone,” the quote becomes an entirely different animal. Maria Konnikova’s piece in The Atlantic offers a nice and brief meditation on this problem and the American Historical Association’s Executive Director, James Grossman adds his own experience with this phenomenon in this AHA blog entry. Is it the text or the spirit of the quotation that really matters? It depends on the context. 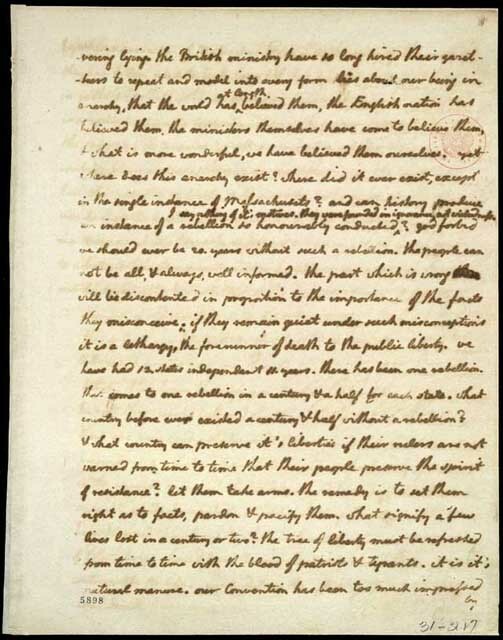 In Jefferson’s 1787 letter to William Smith, in which he makes his dramatic statement about the “blood of patriots & tyrants,” the next line is “It is it’s natural manure.” Take that latter quote out of context and see how many times it is repeated! *The answer here is “yes” to Jefferson’s quote and “maybe” to Jackson’s. Robert Remini has argued that Jackson didn’t need to actually say this about Marshall and his Worcester v. Georgia decision, but he probably would have. 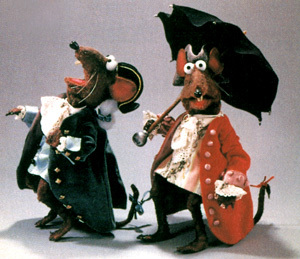 Political pundits, journalists, and sometimes even ideologues draw to the Early American Republic like moths to a flame. 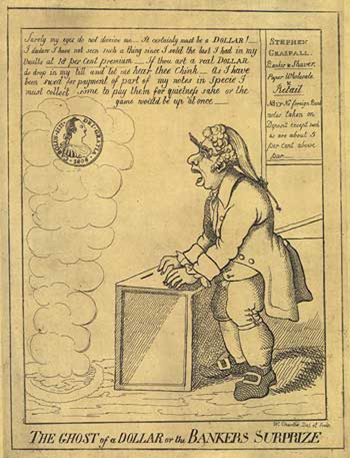 Whether they are written in the attempt to make a quick buck exploiting the reading public’s endless fascination with the Founding Generation or push their own particular agenda, popular histories of this era abound. As with any popular field, these books are of varying quality. Some of them barely move beyond the usual anecdotes, employ out of context quotes, and at best repeat well-worn clichés. They are not works of serious scholarship, but they sell well and seem to feed the intellectual appetite of the breezy “Jefferson thought this” and “Hamilton said that” variety. Most academic historians, I think, have made peace with the idea that we don’t own the past and that anyone is welcome to take a crack at reconstructing it. If you want to write a shallow, but accessible, work on the Founding Generation, you’re welcome to it. But don’t take the expert work of historians and pass it off as your own. That crosses a line that will get you on the fighting–albeit not usually intimidating–side of academic professionals. Two historians of the Early Republic at LSU, Andrew Burstein and Nancy Isenberg, have written an essay on Salon.com that raises some interesting–and controversial–questions regarding this issue. It’s not necessarily only titles in their own chronological field that they are criticizing here, as the problem they describe is an all too familiar occurrence in all varieties of historical writing. They then extend what looks like a fairly pointed critique of plagiarism into a broader salvo against popular history. Perhaps we on the academic side of history find it all the more galling that these kind of works tend to get more attention, draw more praise, and fill more bank accounts than our own carefully crafted and professionally produced monographs? Is this jealousy or a legitimate professional concern? Read the article here and decide for yourself.